What are sixth graders expected to learn? Before you develop or choose a 6th grade curriculum for your homeschool, it is important to understand the learning goals for sixth graders. Sixth grade programs offer exciting options for homeschooling families. This is where many parents will be reminded of how difficult school was in their younger years, and many will find themselves learning with their children just as often as they teach them. A lot of academic and social progress will be made in this year, so be prepared for to have more dynamic, interactive lessons and material that is a bit more sophisticated than the material presented in earlier grades. You still need to follow your state’s requirements for what sixth graders are expected to learn, but you will likely find yourself supplementing and adjusting your programs to meet the individual personality of your child. In fact, families with multiple children typically find themselves doing things differently with each child as they get into these older grades. As you prepare for the sixth grade year, you will find that Science becomes more analytical and demanding. It will also become more and more math-based, so it is important that your student has a firm grasp of the math concepts he or she learned in elementary school. In Literature, sixth grade students will begin reading on a higher level, and will be expected to respond to test questions with short answers and essays rather than just choosing the right option from several multiple choice items. Advanced vocabulary skills including synonyms, antonyms, homophones, etc. Sixth graders should be working independently much of the time. They will still need help at times and should be graded and checked for mistakes, but they should be doing their work on their own. Increasing hands-on activities and experiments is a good idea at this point. As children get older, they are able to do more on their own and will learn more if they are enjoying the process of learning. Sixth grade is where many students will stop learning to read and start enjoying the process of reading. Reading is used as a tool in other subjects, so there may be less time spent on reading lessons at this point. Students who do not enjoy reading should be encouraged to read at least a half hour each day outside of schoolwork. Science should be largely experimental at this level. Allow your children to explore questions that they have about the world around them, creating experiments that allow them to find answers. This is the grade where social interactions may feel more urgent to a child than academics. You may have to work harder to keep them focused and on track. The average sixth grader is heading towards adolescence, and you should keep this in mind as you look at your 6th grade homeschool curriculum options. A few typical characteristics of normal sixth graders include the following: they are starting to show more self-assertion and curiosity and they are more socially aware. They are physically restless and wiggly and many of them they talk a lot. They have a range and intensity of emotions and tend to be moody and easily frustrated. Many are competitive and want to excel, but at the same time tend towards off-color humor and silliness. As they make the transition to adolescence, make sure the curriculum you put together is suitable for their needs as they learn to cope with changes, work on interpersonal skills, handle peer groups and peer pressure, develop personal interests and abilities and take on greater personal responsibility for their behavior and decisions. Most students are excited about their new independence as they start sixth grade. The change to middle school may not be as drastic for homeschool students, but they should still be expected to show greater independence as they do harder work and meet higher expectations. Many students experience social and physical changes at this age that you must keep in mind. You have to reinforce the importance of school while engaging your students’ growing interest outside of just the content you are teaching as part of their classes. This is a great time to explore the interests and abilities that will serve your children well at a later stage. For top sixth grade students whom you have homeschooled to this point, reaching their academic milestones must continue to be a focus for you. Social and personal issues can generally start to overshadow academic work about this time, so it’s important to keep an eye out for any beginning signs of a downward direction in their grades. One way to make sure your homeschooled sixth grader reaches the standards set above is to help them build study skills and time management techniques. Even if they succeeded without a lot of effort in elementary school, sixth grade may force them to develop better habits as the curriculum becomes more difficult and more outside forces intrude. It will help them thrive if you develop a mindset in them which encourages their confidence and sense of self. If your sixth grade homeschooler has been a good student in elementary school, but hasn’t quite gotten to A level work, you can use this transition to middle school as a chance to review earlier skills they have learned. This is important because from this point on, much of their education will be built upon what they have already learned, and that is a valuable skill to possess. Sixth grade students can still learn information more quickly than they will be able to in later grades, so now is the time for individualized instruction in core subjects like math and reading. This extra time can put your student on a trajectory to As and beyond. Alpha Omega Switched on Schoolhouse –This is a great time to start transitioning to a computer-based program. With the built-in lesson planner it helps kids become more responsible for working independently and juggling their schedule. Alpha Omega LifePacs –This mastery learning program is preferred by many 6th graders who love to see the progress of finishing a work text and seeing their progress. Mystery of History— Sixth grade is a great time for Christian parents to try this program with their kids. It combines Biblical and secular history in a way few other options do. Apologia Science — One of the most interesting ways to teach science, this gives a great foundation for 6th graders who want to prepare themselves for tough high-school science classes in a few years. Horizons Math — 6th grade is the last year to use Horizons for math, but we would still suggest it because it is a such great program. MathUSee — A parent favorite, this program brings math concepts to life with visual representations of problems to help kids understand how math works. Teaching Textbooks — For the child who is hesitant to do math, this is a great option. We would suggest the package that includes both the CD-Rom AND the worksheets for best results. The every-other-month Home Education Magazine provides in-depth interviews, articles and stories relating to the challenges and the happiness of homeschooling. Homeschool Central provides several good resources to those learning at home, especially people who are looking for a group in their area who can help support them. This nonprofit advocacy association provides legal advice for parents who want to homeschool their children. 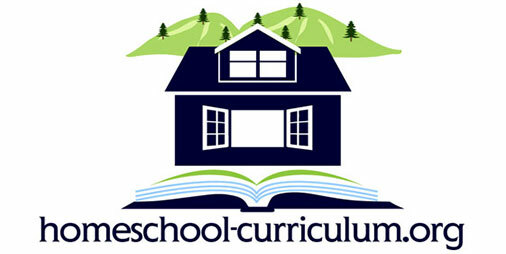 They offer good information on every state’s particular homeschool guidelines. If you need to know about homeschooling legal issues, you can also look at the “My State” page of their website. NHERI is a fantastic resource when you need statistics and facts about educating your children at home. This online magazine focuses on the basics of classical homeschooling, including the Great Books movement, the Socratic Method and poetic knowledge. Plus, it’s free. 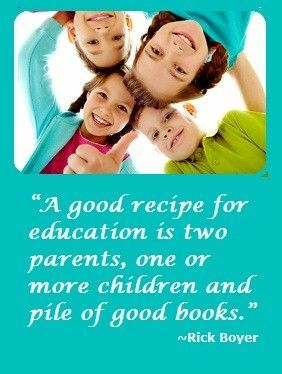 Home educator and literature professor Susan Wise Bauer and her mother wrote this detailed guide to homeschooling in the classical tradition. What 6th grade curriculum do you like most? Share it here. These 6th grade curriculum resources, milestones and advice should put you well on your way to developing a 6th grade curriculum that will place your child on track for success. The extra time and attention you will be able to spend with him or her will be vital in their educational development. We hope you enjoy these resources! Thank you for this information. I’m looking for a Homeschool 6th grade Christian Curriculum that is not all online. We just left an online based school after 2 years because my kids were losing interest in learning, and they were staring at the computer screen for 6+hrs per day! Can you recommend anything to me? I was looking at the Switched On School House but it’s all online as well… any thoughts? In addition to that, you can always choose to supplement your child’s curriculum. Ideas for this include field trips, co-ops with other homeschooling families, public resources like the library and historical societies, and extracurricular activities like sports or clubs.